The Democratic Socialists of America are growing — suddenly and explosively. Last June ahead of the Democratic National Convention, DSA counted 6,500 members. Today, after a presidential bid from a self-proclaimed democratic socialist and Trump’s terrifying election, membership has grown to more than 19,000 and counting. People are considering socialism, long a dirty word in American politics, in far larger numbers than in decades past — especially young people. 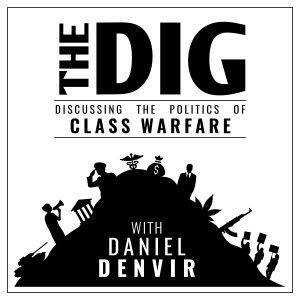 Today, my guests are DSA National Political Committee member Sean Monahan and National Director Maria Svart to discuss some tough questions about the fight for socialism in the coming months and years, both for DSA members (of which, full disclosure, I am one) and those who aren't.